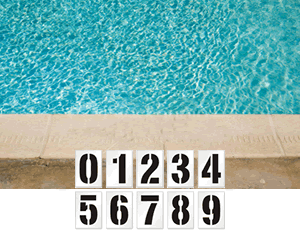 Keep your pool safe and well marked with reusable Swimming Pool Stencils. Our Pool Stencil Kit comes with everything you need for your pool or spa. Label water depths, safety rules and more with tough stencils that work. 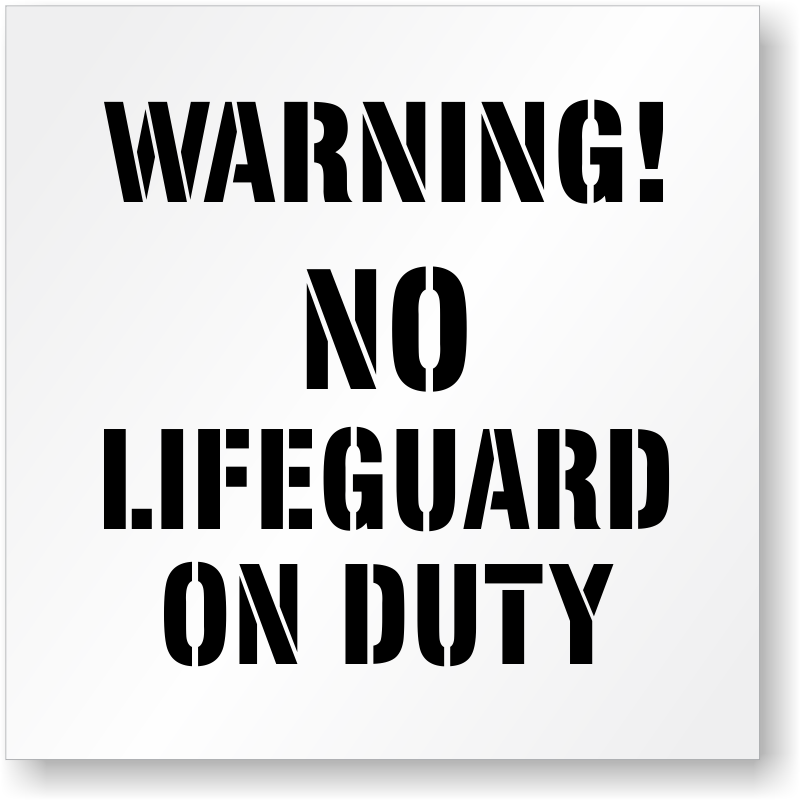 • No Diving, No Running, and No Smoking Stencils will make your swimming pool safe and fun. • Alert all bathers to the water depths and possible dangers. This one kit has everything you need. • Stencils are reusable thousands of times. Buy one kit and be on your way! • Questions? Don't hesitate to give us a call. We'd love to assist you. Waterproof, durable stencil ink in 7 colors to match any pool area. Very happy with quality and manufacture of stencil. Pretty fast delivery too! OUTSTANDING!!! From the ease of designing my stencil on your site to the purchase and shipping, you guys are fantastic. My stencil arrived quickly and in perfect condition. I'll be using you for ALL my stencil needs. I look forward to sending you original art next to see how that goes. I'm sure it will be an easy process. Thanks very much. Exactly as Expected. Seems to be good quality to hold up for reuse. Arrived when expected. Great, efficient service - would highly recommend!